Where are all you new DA62 guys? C'mon, I want to hear some reports etc. We're delivering the first DA62 in North America that includes the next-generation G1000 NXi flight deck (and the new center console keypad option) to one of our customers this week. 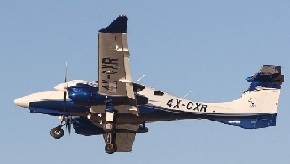 About a week later, I plan to travel to Diamond Canada to pick up a similarly-equipped new DA62 of my own to fly home. Currently DA62s are ferried across the Atlantic (flying under temporary Austrian registry) by ferry pilots from Wiener Neustadt, Austria to London, Ontario. After the planes arrive at CYXU, Diamond Canada installs the GDL69A Sirius XM satellite weather units (a North America-only option since that's the only geography covered by the SXM satellite "footprint"), obtains a US Certificate of Airworthiness, completes FAA registration, and installs N-numbers, etc., all of which takes time. DA62s will start being assembled in Canada later this year. In London now at the factory picking my DA62 up this morning. Looking forward to getting it. New to the Diamond world. Hello Tommy what specifically you would like to know? perform exactly as the book suggest, very wide and roomy, and so far smooth and elegant. I have checked in freidrichschaffen all the cockpit of all the airplanes up to 10 mil$ (pistons single twins, tbm 930, m2,cj3,cj4,phenom 300,honda jet,sf50) and exept the sf50 the da62 have by far the roomiest cokpit, I'm 6.1' and the leg room is a major issue for me, I had to squeeze in all the above airplan's cokpits except the sf50 which has a very long channel so you can move the seat almost as much as you want. 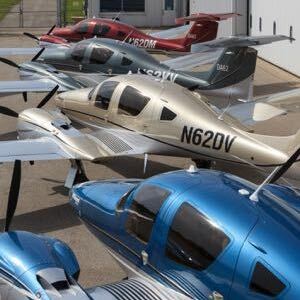 I would like to hear about the various experiences new 62 owners are encountering with their new aircraft. Very much like the owners of the DA42 and DA40. The 42 and 40 threads are fairly active on a regular basis. The 62 thread other than for yourself has been quiet. Somewhat strange considering the number of 62s out there. How many are out there anyway and who are the new owners? Where are they located? I want to hear feedback from the fleet, not just one or two people. We are picking up snr 071 at Neustadt on the 28 Sept. Keep you all updated. 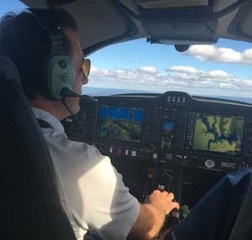 CFIDave wrote: We're delivering the first DA62 in North America that includes the next-generation G1000 NXi flight deck (and the new center console keypad option) to one of our customers this week. Did you happen to take a photo of the keypad: I am led to believe it is in the armrest, is that right? And I am told that it is only available on the 62: if so, any ideas why that would be the case? BERTEN - How is your DA62? Did you get it in September? If so, what is your opinion? Has anyone else taken delivery of a DA62 in the last 6 months? dselder1962 wrote: Did you happen to take a photo of the keypad: I am led to believe it is in the armrest, is that right? And I am told that it is only available on the 62: if so, any ideas why that would be the case? Pretty sure it would be too wide for a DA40/42.